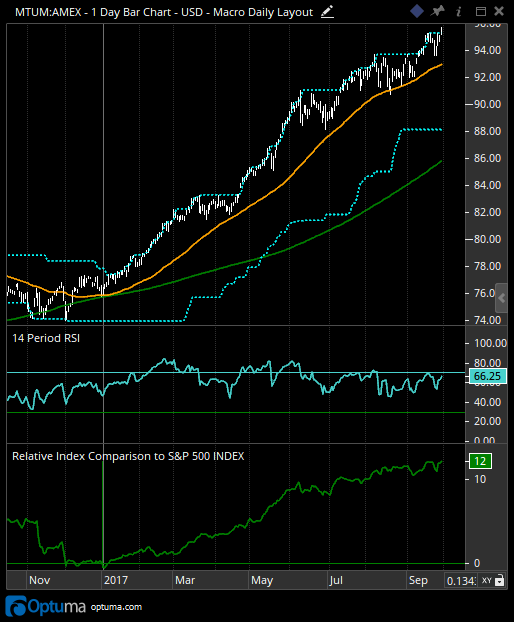 I read a series of articles on growth vs. value and the euphoric rise of the FANG stocks. Made me think a little more about "herding" and the emotional pull of uptrends. It became way more interesting when I read this article in the New York Times from almost the same day, talking about value investors "throwing in the towel" and buying growthy stocks like Facebook, Amazon, Alphabet, etc. In the words of one portfolio manager interviewed, "It's like you are riding a missile that you know could explode at any moment beneath you. But you have no choice but to be sucked into the trade." Behavioral finance would call this phenomenon "herding", where people pile in on one side of the trade. Unable to resist the temptation of higher returns, they move into what's working, which usually extends that price trend even further. The catch? At some point, there is no one left to push the price higher, and investors see an opportunity to take profits. Result? A correction. These articles drew a rebuttal from value investor John Buckingham at Forbes, reassuring readers that value investing has worked over time, especially since 1999, "for those of us still patient enough to keep the Value investing faith." Personally, I know investors with a solid growth discipline, and I know others with a savvy value discipline, and people in both camps have consistently made money over the long term. In my experience, the key word there is neither "growth" nor "value", but "discipline"! 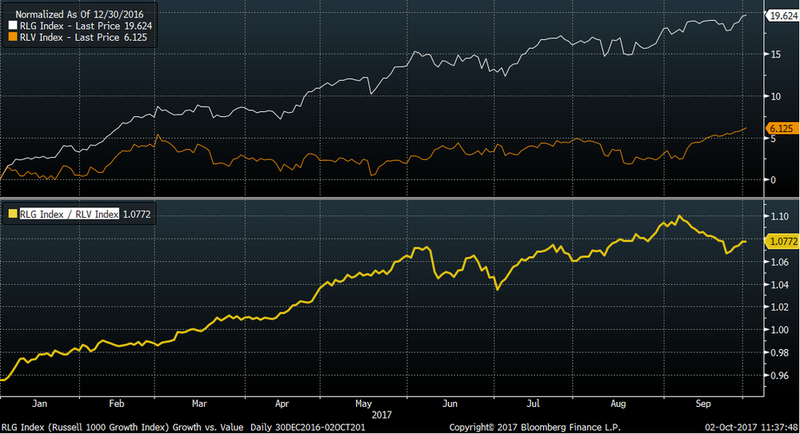 In terms of the charts, both growth and value indexes have recently broken to new highs, with growth up almost 20% YTD and value up only 6%. Even more important, in my opinion, is the continued success of the momentum factor, which can be prevalent in both growth and value names. See my recent post as to why that is the case. The funniest point is that the New York Times article was entitled "Five Big Tech Stocks Build Market Euphoria, and Jitters." Indeed, I used to believe markets were driven by fear and greed. Now I know they are actually driven by fear and fear. Fear of losing everything, and fear of missing out. The lesson? Follow the trend.